A couple of recent outfits! I hope everyone has been fairly well, despite some surprising developments that you may have noticed in the US. I've been enjoying my third year of college very much. And I am excited about the fall/winter 2016 trends in LARME. 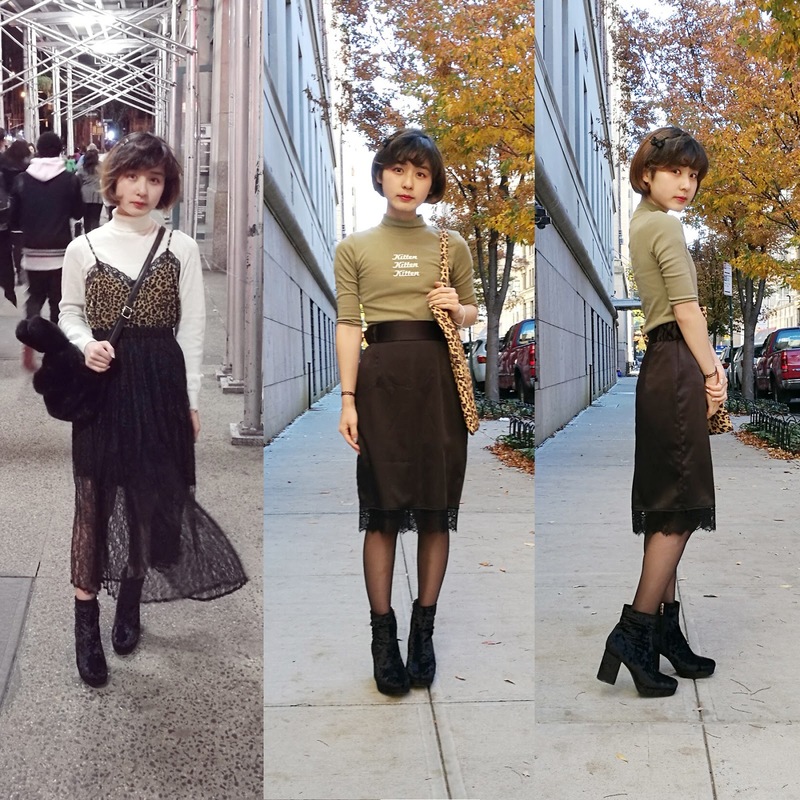 Here are a couple of my recent outfits! I think I am in love with the leopard print trend. This is surprising to me because I used to vehemently oppose leopard print--even to the extent of teasing my friends who love it. (Scott, if you are reading this, I'm sorry!) But when styled appropriately, leopard print has a classic, elegant, and mature vibe. 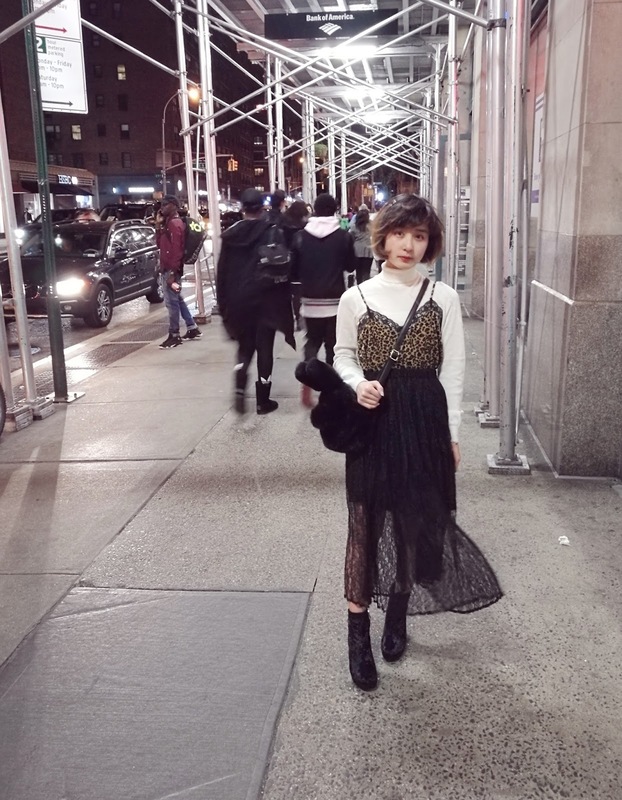 The Tokyo-based model Tiffany Cadillac has a good post on her blog about the history of leopard print. It's worth checking out! I am enjoying the trend of sock-style and/or platform ankle boots. I also love the Fall/Winter 2016 emphasis on maxi-style bottoms. ♥ The layered camisole trend is becoming quite mainstream--I've noticed it in Western fast fashion catalogues as well. This outfit was in part inspired by one of Yui Kanno's outfits on MERY. 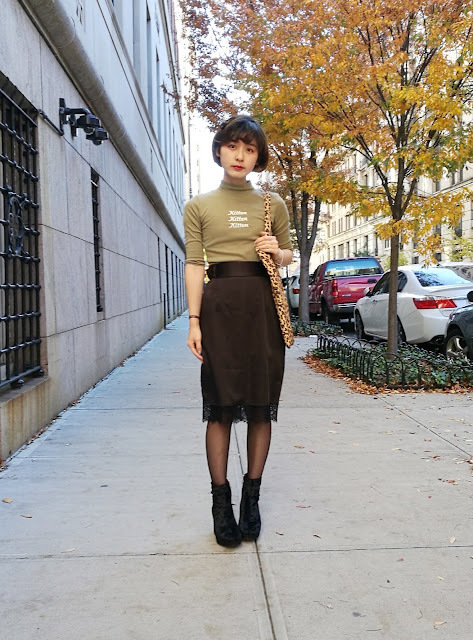 The army green/olive green fall color trend is still going strong in both Japanese and Western fashions. I personally love it. Even I get tired of the typical black x pink x white palette at times, haha. Haha yeah, I can't stop wearing leopard print now. Wow I really like the second outfit, it is so classy yet unique. Thank you! ♥ I think my outfits have been getting simpler, haha. Eri's Top 9 Favourite LARME 024 Outfits!